The cross-pollination of ideas across generations will encourage ideas, leading to new success possibilities. As I and millions of fellow baby boomers begin to see more of life in the rearview mirror than out the windshield, I often find myself reflecting: Have I served my family well, did I give back to the profession I dearly love, and where the hell are my glasses? It’s become abundantly clear that the dominant force in our society is now millennials. I’m pretty happy about that. Millennials, and the Gen Z’ers right behind them, are incredibly smart, tech savvy, adaptable, open to change, idealistic, sincere in their desire to leave the planet better than they found it, collaborative, and perhaps best of all, crazy about their fur babies. In my work and home environment, I am surrounded by brilliant millennials and Gen Z’ers. I’ve been blessed with two great daughters (a millennial and a Gen Z) and am blessed to work in a profession whose majority workforce, and now dominant consumer, is younger than me. They are a constant source of inspiration, energy and ideas. However, in my leadership circles, boards and groups that largely steer our profession’s ship, I am surrounded largely by wonderful people, but people who look a lot like me, an old, fat white guy. Anyone with a pulse in the profession is aware that for all that’s right with veterinary medicine, diversity is not among them. I’m not qualified to address many of the dimensions of diversity, but I will take a stab at generational diversity. I love coaching and mentoring new and recent graduates. During my time as a professor I took great joy in teaching and learning from the brilliant young minds that will soon lead our profession. As a clinician, I’m never happier than when I have a veterinary or nursing student shadow me. I’ve often said, and truly believe, that I learn a lot more from them than they learn from me. They are my fountain of youth. That said, I recently came across a concept called “mentern.” Have you heard of it? I hadn’t. A mentern, or reverse mentor, goes something like this: Cross-generational relationships are established as an innovative way to facilitate learning. It involves pairing a mentor and mentee to share one another’s experiences and expertise. The mentee is generally focused on learning from the mentor’s vast experience and generational perspective, with an emphasis on leadership development and organizational knowledge. The mentor learns of technology, new operating systems and current thinking. The classic mentern example comes from a Anne Hathaway and Robert De Niro film called “The Intern.” If you’ve not seen the movie, I’ll tell you it’s pretty cute. In short, a 70-year-old widower and retired executive (De Niro) is bored with retirement and takes a job as an intern at a startup online fashion retailer. His boss is the brilliant young founder and CEO (Hathaway). Long story short, both end up learning much from one another. In a recent Forbes article, the example of the financial services company Pershing was given. Pershing implemented a reverse mentoring program companywide. The result: a 96 percent retention rate for the 77 millennials who took part. Inverting the hierarchy and allowing millennials to act as mentors benefited everyone. Millennials felt valued for their contributions and gained access to senior leaders. Senior leaders gained insights from the majority workforce and now dominant consumer. A whole lot of learning was going on! 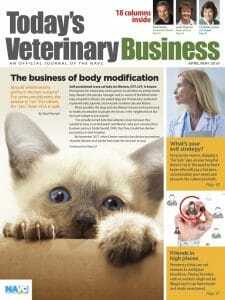 In our veterinary world, the American Animal Hospital Association published mentoring guidelines some years ago. (Learn more at http://bit.ly/2Nu46yJ.) Mentor-mentee relationships, AAHA noted, lead to improved hospital culture, productivity, efficiency, communication, retention and job satisfaction, ultimately resulting in improved patient care and hospital performance. AAHA goes on to state that both mentee and mentor can broaden the other’s understanding of complex issues. So true. Old fogies come to realize that by the time we’re in our 40s and 50s we’re not in touch with the future the way 20-somethings are. Those of us fortunate to have reached positions of influence would be wise to turn to younger colleagues for a few lessons. Mentoring done well is a two-way street. In fact, today’s students are becoming the teachers as our profession begins the millennial workplace revolution. In less than one year, millennials will comprise over half of our workforce — and 75 percent by 2030. For reverse mentoring to work well, a few factors must be in place. Each party needs to be clear about their expectations. Both must commit to the relationship. In a reverse mentoring relationship, both parties act in the capacity of a mentor and mentee. Trust is required, as it is in any successful relationship. Both must be open about their feelings and thoughts. Always be learning. Ask the “why” and “what if” questions, not “what” and “how.” Stay curious. Closes the knowledge gap for both parties. Old folks learn about things like social media from the younger person, and the younger person learns professional practices and perhaps gains hard-won wisdom learned through the school of hard knocks. Empowers both parties with newfound knowledge and perspective. Brings the generations closer together. It’s not us vs. them. Promotes bottom-up thinking instead of top down. Personalizes relationships between two people in different parts of their career. Jack Welch, past CEO at General Electric, is credited with bringing reverse mentorship to all GE senior managers years ago. Those of us in veterinary senior management might be wise to follow in his footsteps. To remain relevant as seasoned contributors, we need to listen and learn from the new up-and-comers. Those who connect with the fur baby generation’s values and needs will prove to be the most successful. Even if a formal reverse mentoring program doesn’t make sense for your practice, its underlying concepts should not be ignored. The cross-pollination of ideas across generations will encourage ideas, leading to new success possibilities. 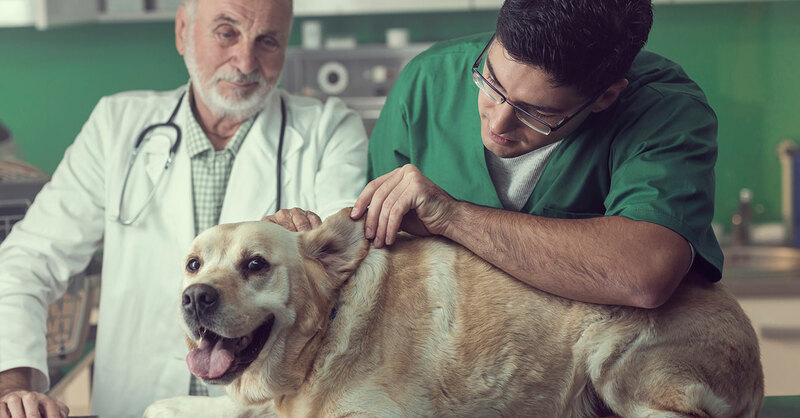 In our WellHaven Pet Health practice, several senior leaders and I reach out routinely to 20- and 30-somethings so that we can listen to them and learn. In fact, I just learned that the Yellow Pages aren’t a thing anymore. Who knew? Maybe this interweb stuff isn’t just a fad. It might be time to update my AOL account after all. The great basketball player Michael Jordan is quoted as saying, “I want to be the bridge to the next generation.” I like that. For me, I aspire to be more like a fine bottle of wine that gets better over time rather than a bottle of milk with an expiration date. all. My generation must learn from younger colleagues, just as our younger colleagues might learn a few things from those of us closer to the end of the runway than the beginning. Between us, we can accomplish great things for ourselves, our profession and society.